New York based rap artist SlimChance is excited to announce the release of his new album, "Stamped & Certified." With seven years of recording and performing experience under his belt, 40,000 album downloads, numerous news headlines and magazine features due to musical and charitable contributions, and a good dose of talent backed by passion and drive, SlimChance promises to deliver nothing less than an experience in rhythm and rhyme to his fans. Kevin L. Taylor, a.k.a. SlimChance Tha Rapper was born in Queens, New York in an area known as Jamaica Queens. He became a fan of rap early in his life and started his rocketing career with inspiration from rap heroes like Biz Markie; he loved singing Markie's hit "Just a Friend". Taylor developed the obsession it takes for an artist to turn a dream into reality and began writing songs at the tender age of twelve. As he matured both as man and artist he began focusing on writing universal songs that everyone can relate to and started recording them on a Radio Shack microphone and hand held recorder. As he took baby steps towards his dream, some said it would remain just that; a dream where he had a slim chance of breaking into the world of hip-hop and rap. In a defiant symbolic gesture of who he is as a person and artist, Taylor decided to call himself SlimChance. As professionals do, Taylor then turned his attention away from any negativity and focused on mastering his craft. With his eyes constantly on the prize, he created low budget mixes, his own record label, "Reellyfe Entertainment", and built a local buzz that has grown into his present fan base of roughly 40,000+. SlimChance currently boasts airplay online as well as FM radio stations in New York, Atlanta and Los Angeles. As well as utilizing the power of the internet, he's caught the eye of the press and was recently interviewed by Rap Solution Magazine, HipHop kings, Firm Magazine, Bebent Music, One Ten Magazine and nationwide press after the release of his charity album P.O.C II which allowed him to donate thousands of dollars to kids in need. His 2nd release, "Diary of An Unknown Hustler" has been downloaded 13,000 times and the number continues to climb. 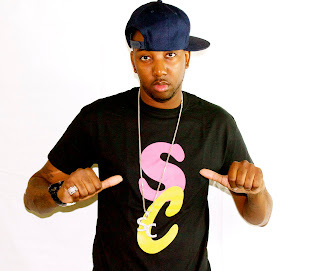 Slimchance has since then released numerous albums that have gained him thousands of loyal fans in the U.S as well as overseas and a combined 40,000 units in sales. He collaborated with Pakistan’s R&B/Hip Hop artist Max Rasool. Together the duo recorded the 10,000 download track, “She” which is featured on Slimchance’s new album, F.O.H. SlimChance has recently acquired endorsements by some prestigious companies that believe in this young moguls vision, a clothing brand "SC Apparel" and a new vodka sponsorship. Slimchance plans to one day be the hiphop mogul that he dreams to be simply by continuing to work hard, releasing good music and staying true to himself. Sc recently gave 80 pairs of shoes to neighboring children and continues to use his musical talents to open his heart as well as give hope to the younger stars following in his footsteps. SlimChance also has an autobiography that is now available in hardcover as well as download titled “Diary Of An Unknown Hustler” in which he describes how the young artist grew up and stayed positive through so many tough living conditions. Listen out for "Can Be" and other tracks by SlimChance on SkunkRadio Live Hip-Hop Playlist Shows and programs.